This workshop is FULL, please call the office to leave your e-mail for our waitlist. Students will have access to a state of the art woodturning studio with 4 turning stations, tools, materials, and safety equipment provided. 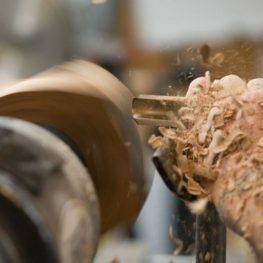 Prior woodturning experience is recommended, unless discussed in advance with the instructor. The instructor will be present throughout the session to provide advice and to assist with technique. Students are also welcome to bring their own materials, tools, and partially completed projects. Bring: Materials supplied by Instructor; students my bring own tools and project pieces if desired.